This well settled 55+ adult community is tucked quietly in beautiful Lakeland, Florida. Silver Lakes offers securely gated living and 148 diverse, single-family homes. Residents can appreciate a laid-back lifestyle while also taking part in a variety of social and physical activities. Given its delightful location there are also immeasurable opportunities for dining, shopping, and entertainment just beyond the gates. Construction in Silver Lakes began in 1996 and reached completion in 2001. The community boasts 148 single-family homes, ranging from 1,100 to 1,800 square feet. Hopeful, to-be residents are welcome to purchase one of these affordable homes on a resale basis only, as no new homes are scheduled for construction. Furthermore, each residence is unique, with various floor plans to fit an array of needs. Featuring attached garages for one or two cars and up to three bathrooms and bedrooms there is something for everyone. The majority of these homes feature covered lanais that are great for entertaining or relaxing. Invite your friends over and unwind while taking in stunning views of the nearby lakes. Welcome the low-maintenance lifestyle that you deserve in Silver Lakes. An annual homeowners’ association fee allows you to live a carefree lifestyle by covering the general maintenance of the neighborhood, clubhouse, as well as all the lawn care and trash removal for your home in Silver Lakes. With this added benefit, you’ll have more time to connect with family, friends, and your neighbors. Have a superb time participating the wonderful activities at Silver Lakes, such as fitness classes, book clubs, and dancing. The cozy clubhouse at Silver Lakes’ serves as the hub for many activities. Residents can take advantage of a modern fitness room, a relaxing sauna, shoot a game of billiards, or have the use of the community’s very own library. Allow your creativity to flow in the arts and crafts studio, dance in the banquet room, or get to know your neighbors over a game of cards in the multi-purpose room. However, the activities don’t stop there. Take a step outside of the clubhouse, and you’ll find a junior Olympic-sized pool and spa. An enjoyable patio space offers another place to relax or to catch up with your neighbors. Certainly not to be missed are gorgeous panoramic sights along the walking and biking trails. You may even spot some cute critters and wildlife. 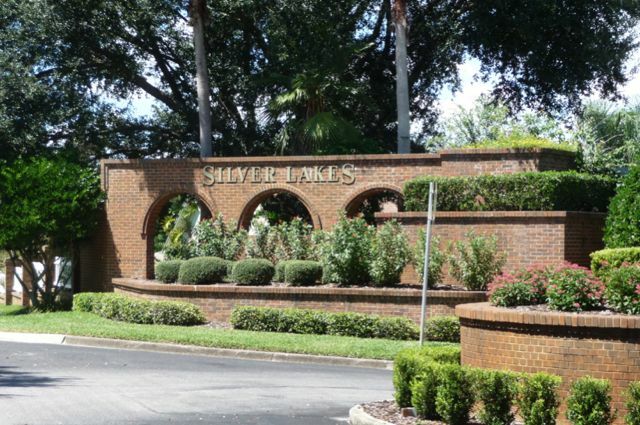 Check out the video of Lakeland FL Silver Lakes 55+ Active Adult Community! Notably, living in the conveniently located Silver Lakes community allows easy access to Interstate-4. Making travel between Tampa and Orlando effortless, and connecting you to to all the fun, exciting things they offer. Not to mention, Florida’s highly rated beaches are only a hop, skip, and a jump away from residents of Silver Lakes. If you opt to stay in Lakeland, you won’t be disappointed. There are countless options for shopping (including the 120-acre Lakeland Square Mall and sprawling complex of Lakeside Village), dining, entertainment, community activities, as well as churches. With it’s optimal location, it’s no wonder so many active adults choose to call Silver Lakes their home.